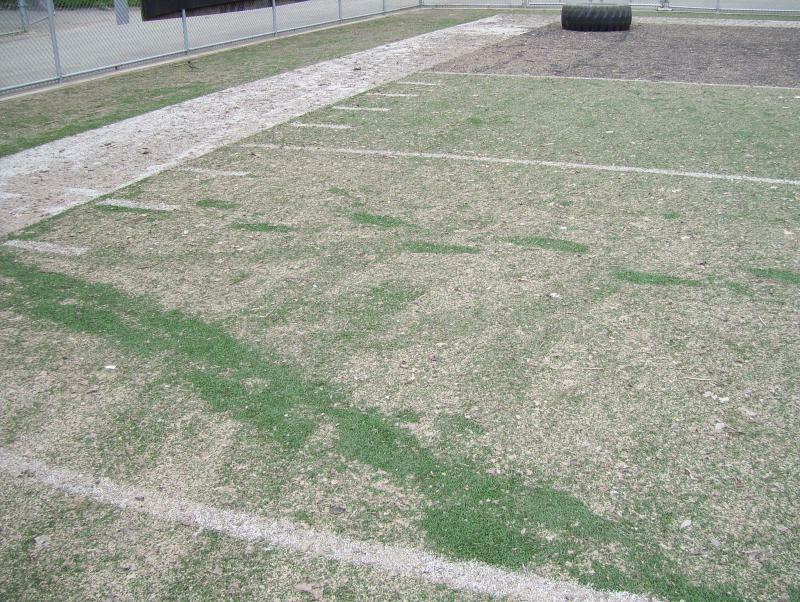 Flood water can destroy the performance of a turf athletic field in a single event. Not that will occur everytime, but the potential is always there. Thorough and proper planning for the site would have prevented a flood event in the first place. If a flood plane is the chosen site to install a turf field, then some form of mitigation or divergence would be appropriate if allowed by regulating agencies. If not, relocating the field, using natural grass, or some other alternative would be wise. Of course if you are reading this article, then it's too late for the planning part isn't it? If flood waters contain enough silt, are slow moving, and persist long enough, a significant amount of silt will lay on and seep into the surface only to change the turf's performance characteristics for the life of the field. Sometimes a field might be flooded with clearer, faster moving water that will only leave a thin layer of silt that is more of an aesthetic problem but still can change the performance of the turf. Especially if minor events occur more than once. The approach to preventing long term damage is similar for both cases. It sounds crazy but the best thing to do is add water! As the flood waters begin to recede, immediately and continually rinse off the receding edge of the water line, keeping the silt suspended in the flood water, not giving the silt a chance to settle into or onto the turf fibers and infill. It takes a lot of water to accomplish this so multiple fire hoses will be required because you will have a large area to cover. Plan on spending a fair amount of time keeping fresh rinse water pushed against the flood line as it recedes because it will be a good investment in protecting the performance and life of your field. 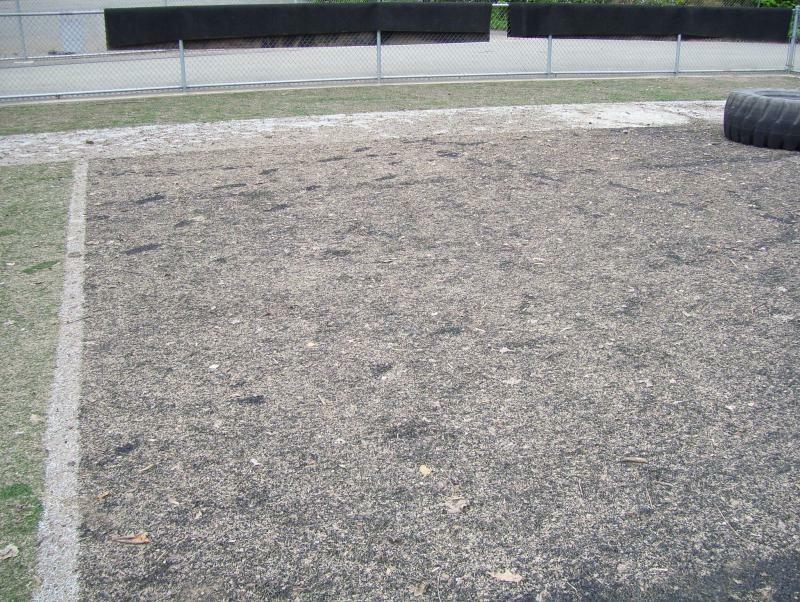 If at any time you see the turf bubbling up or it looks like it's floating, do not attempt to push or move the turf back in place. This will only cause more problems and damages. Stay away from those areas. Once the flood waters are gone and rinsing is complete, other procedures, such as decompaction and disinfecting, need to take place to ensure a safe turf surface that will last longer and look good. Please contact us at 888-593-6013 to discuss details about your specific situation and to learn more about the equipment, products, and services we offer to help you with your turf flood remediation. Still need some help and remediation even if not from flooding? Give us a call or a quick email for service and support! If oil or fluids are leaking from a piece of equipment on the field (A boom truck for lighting maintenance as an example. ), then shut down the equipment immediately and leave it in place. Try to contain any further contamination while a solution is determined. Unfortunately many spills are very specific in nature and it would be best if you contacted us at 888-593-6013 with your specific issues.